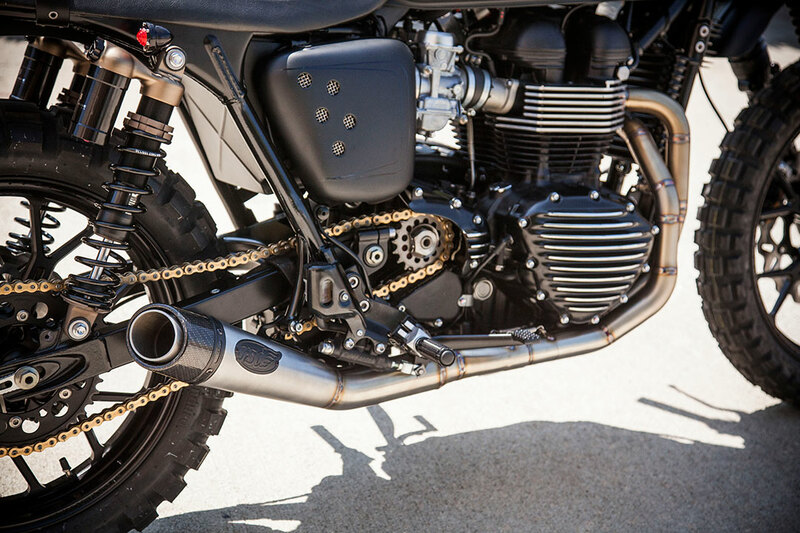 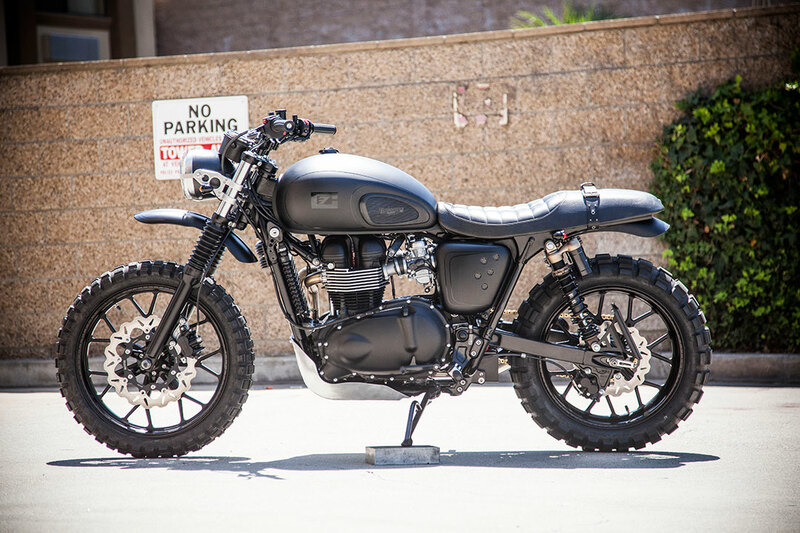 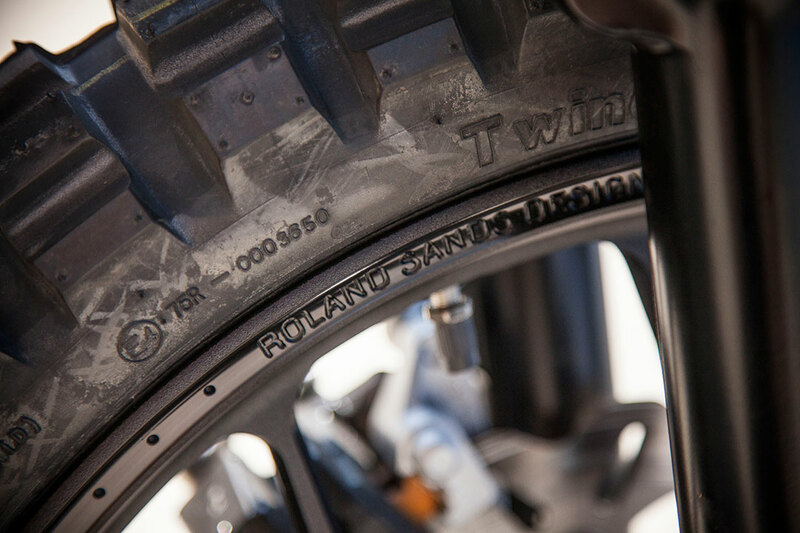 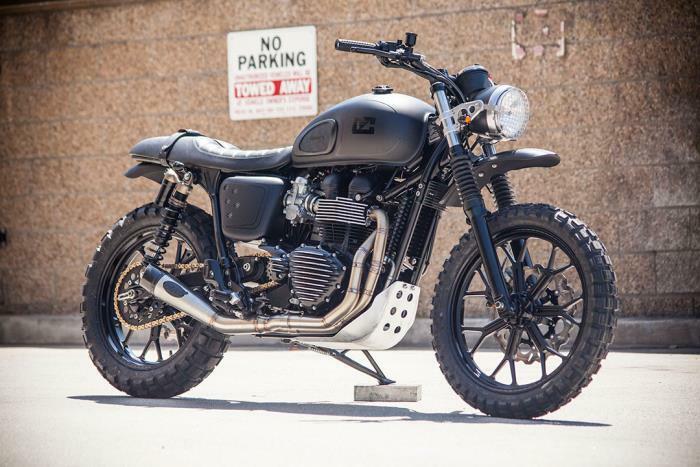 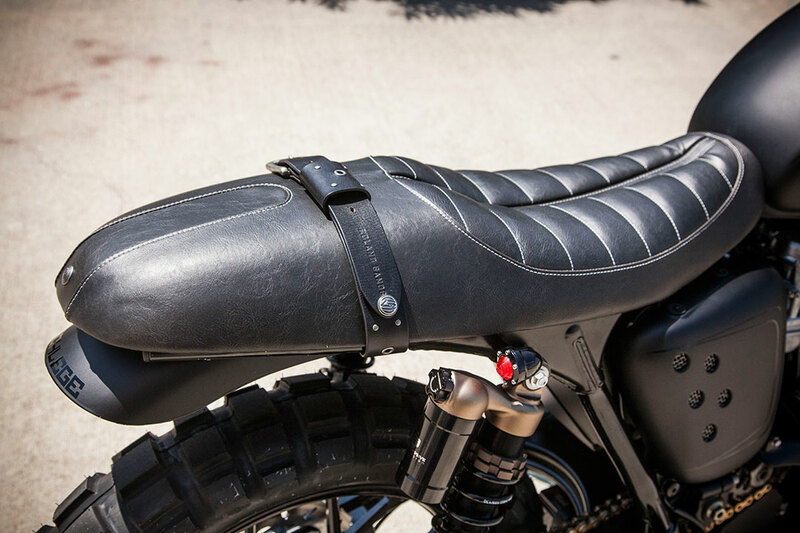 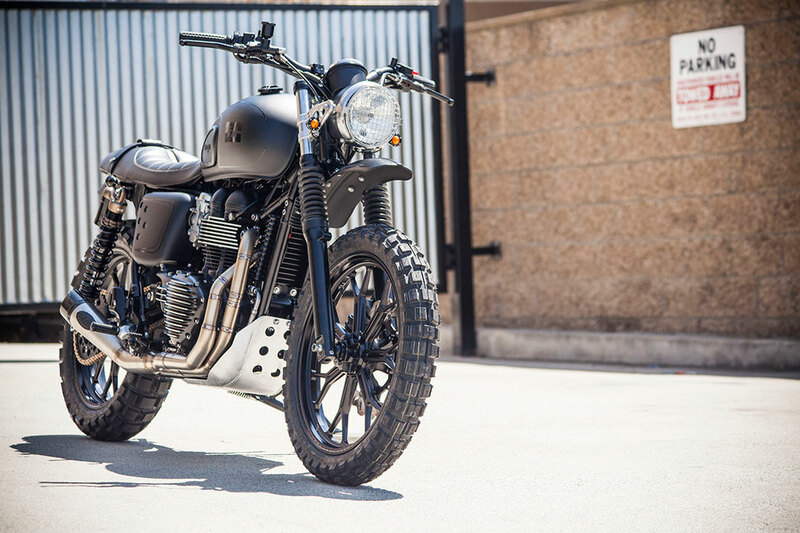 A Triumph scrambler with a dose of evil from Roland Sands Design. 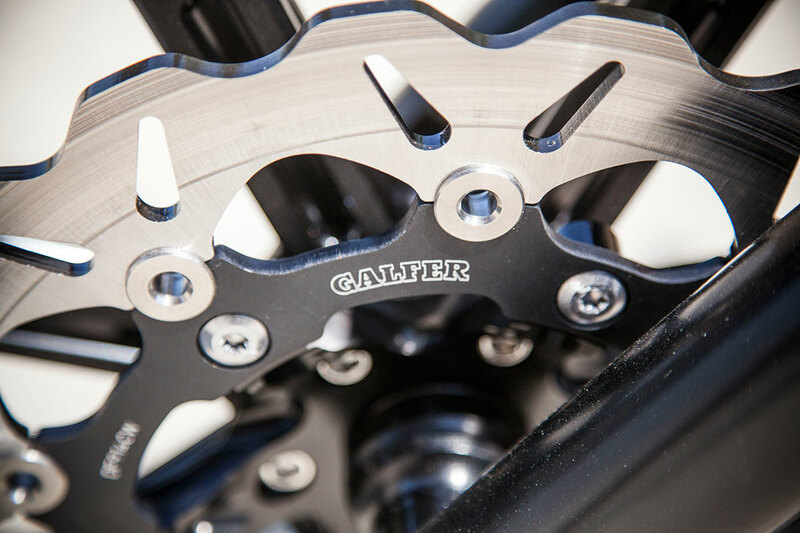 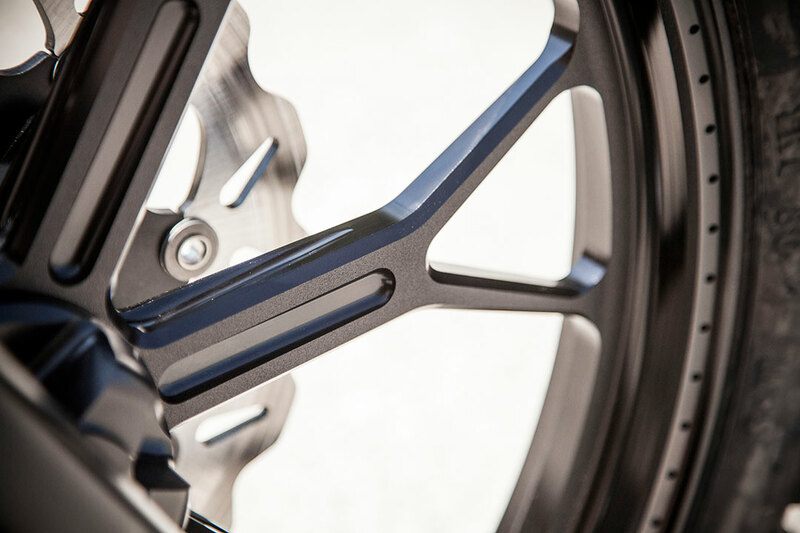 The essential character of the bike has been retained with a healthy smattering of new RSD parts; Black Ops Del Mar wheels with knobby tyres give a huge attitude adjustment, improved braking is handled by floating Galfer wave rotors and the heavy, standard, steel sprocket is swapped for a hard anodised, Renthal aluminum version. 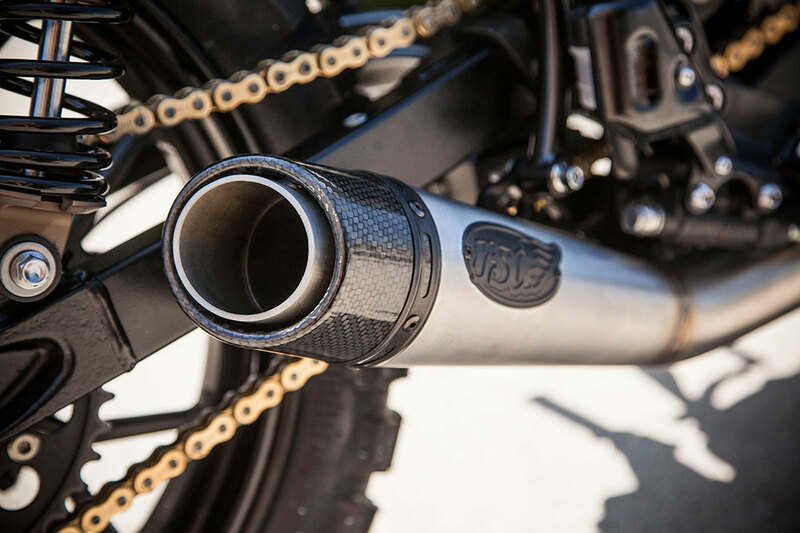 The raised front mudguard, Pro Step bars, Traction grips, Nostalgia risers and a custom skid plate helped spike this Trumpet with plenty of attitude to match the altitude. 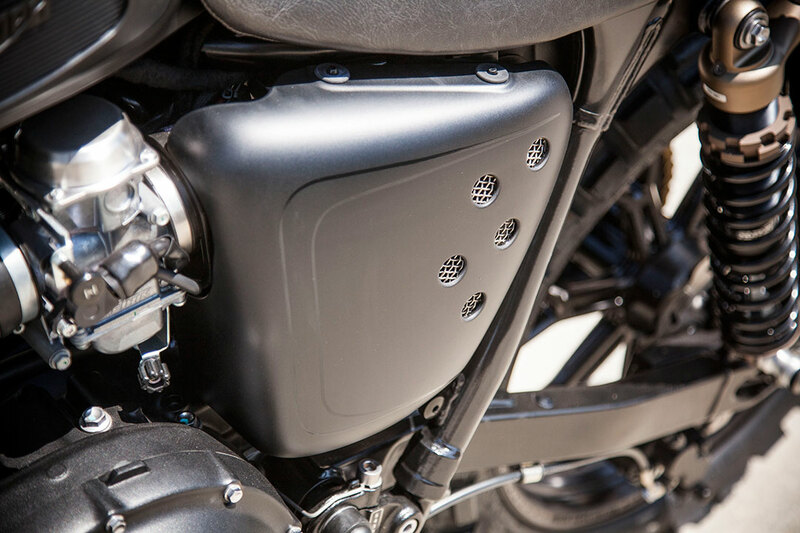 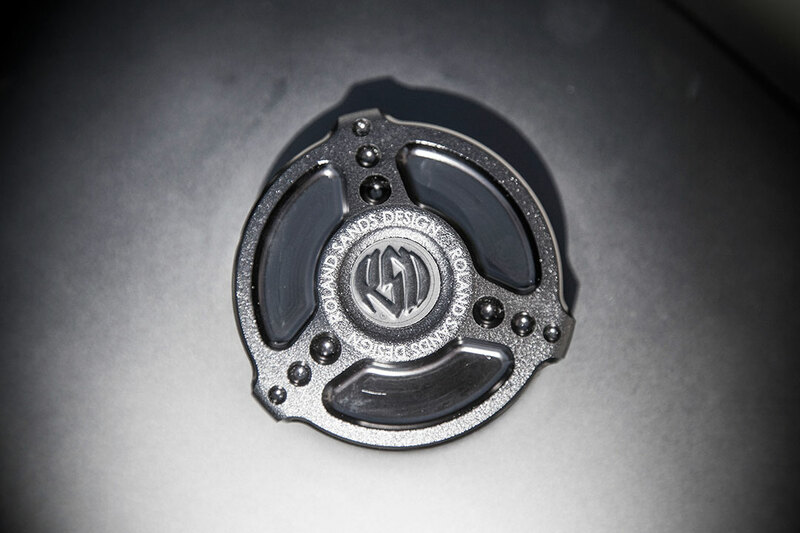 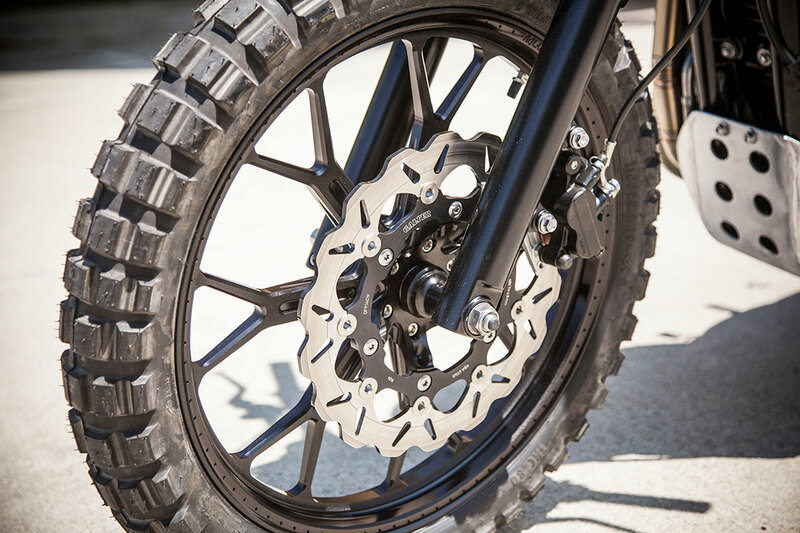 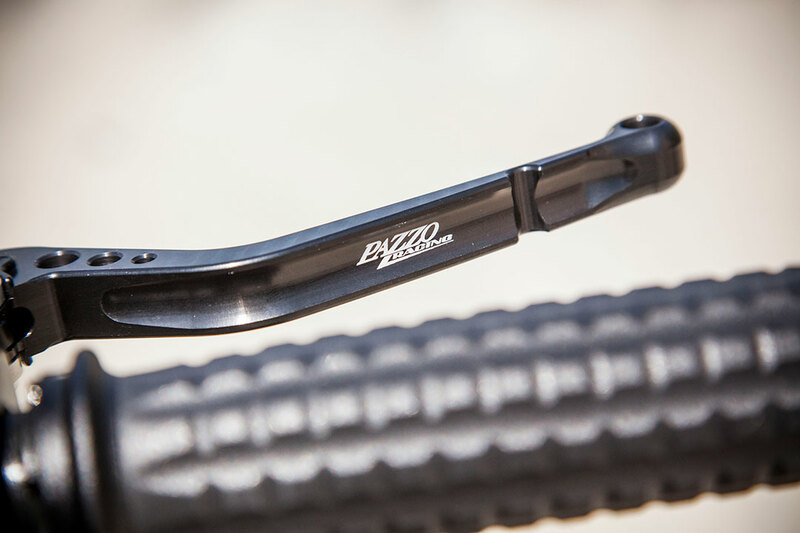 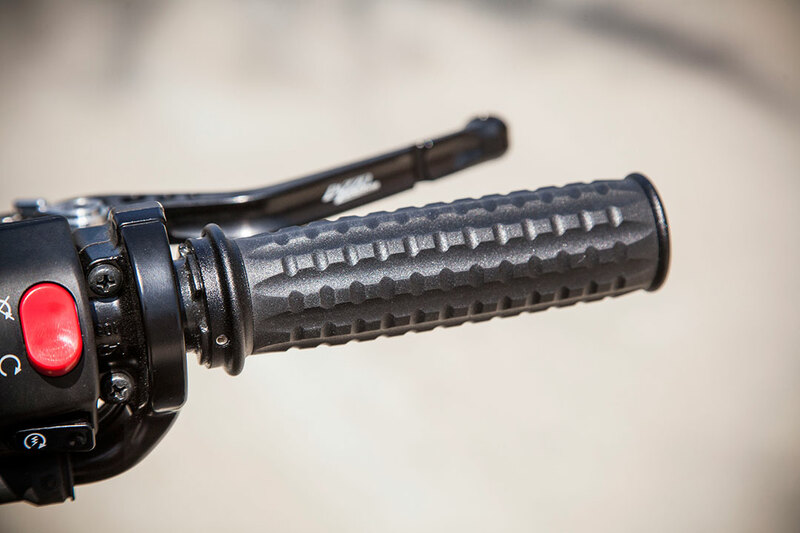 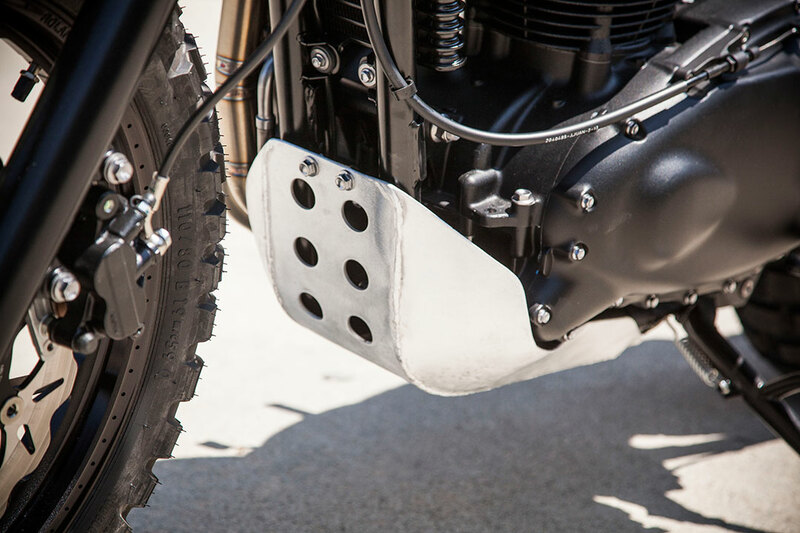 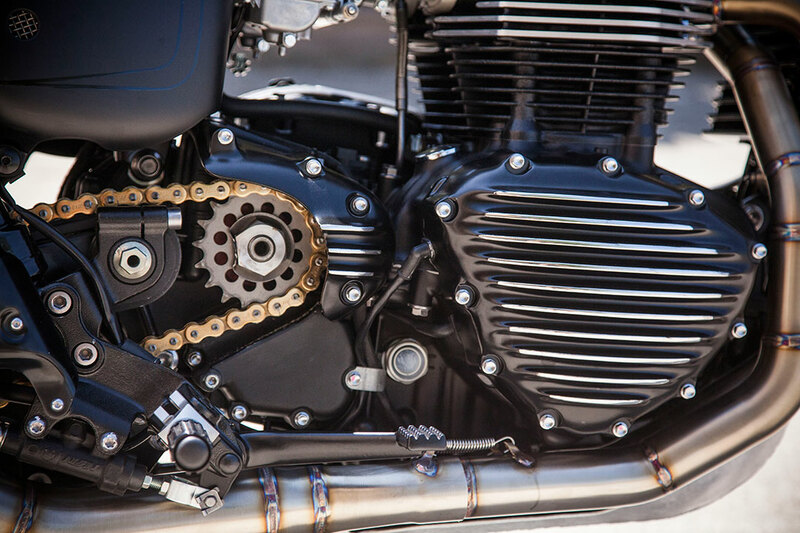 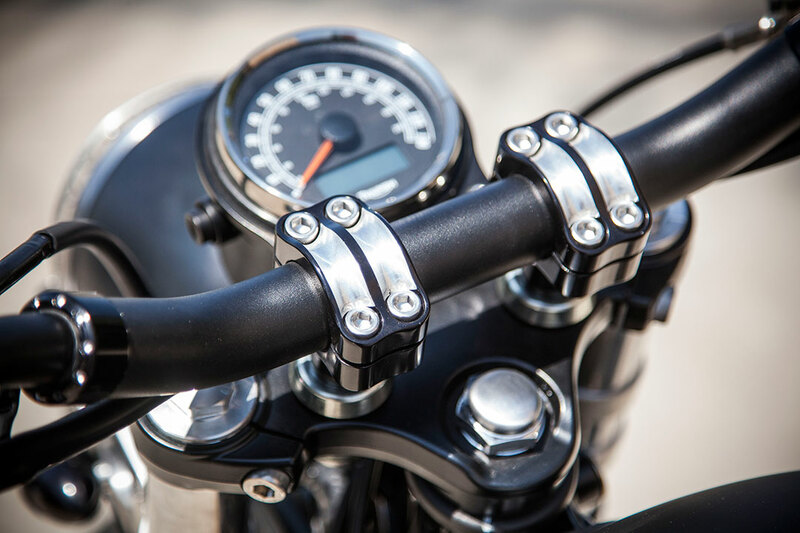 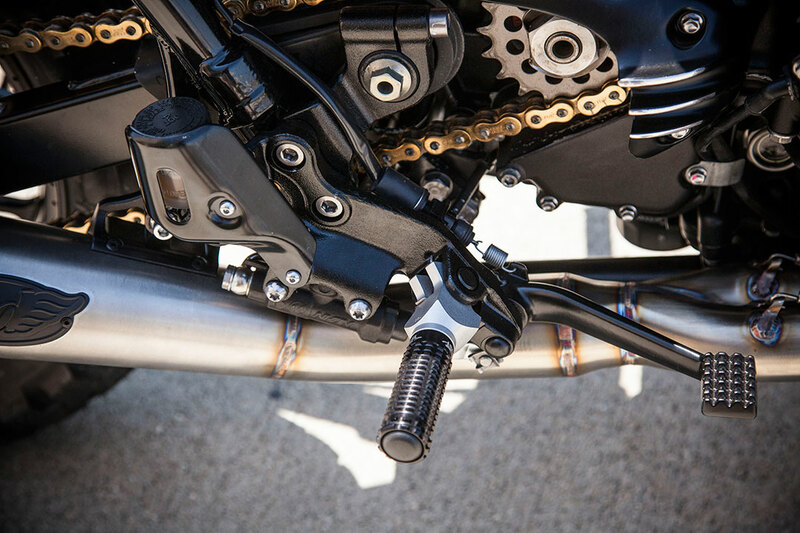 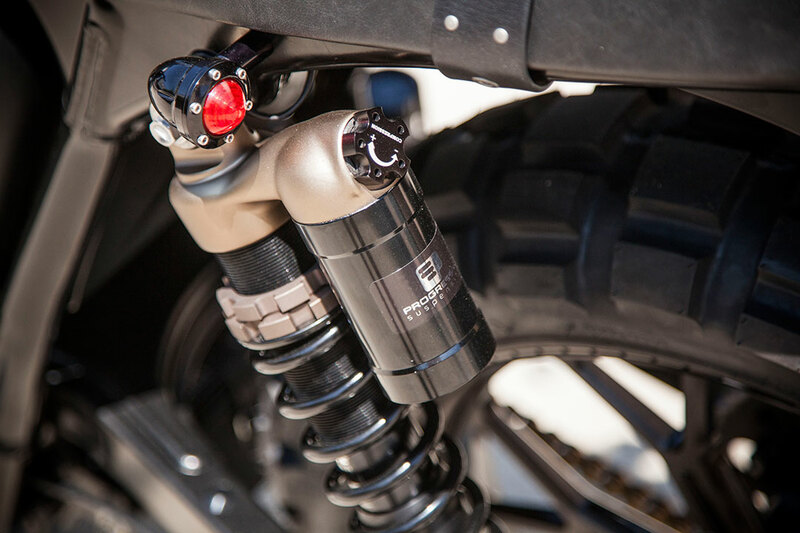 The handmade stainless steel RSD Slant low pipe and K&N filters increased intake and exhaust velocity, while Progressive Suspension's 970 Series reservoir shocks and fork springs helped tune up the suspension. 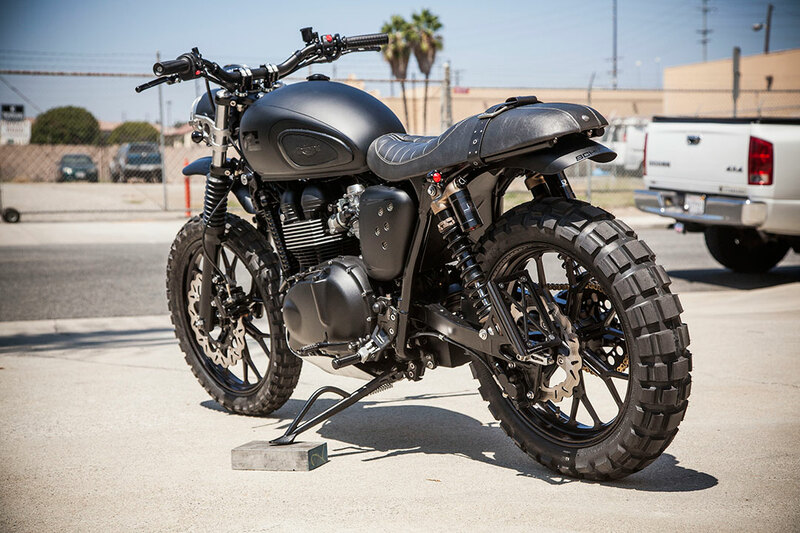 Black on black paint by AirTrix and pinstriping by Tom Clark keep it simple. 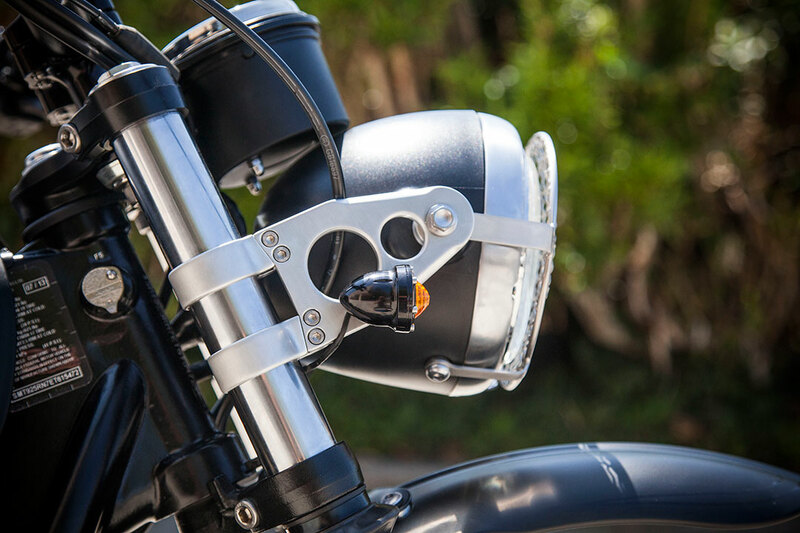 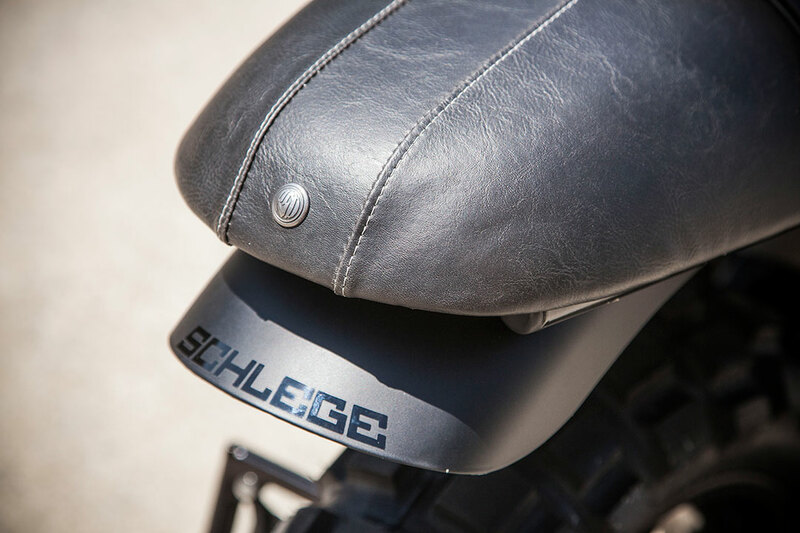 Other more subtle modifications including a hidden storage compartment, drilled/meshed side covers and single gauge bracket completes the anger management.